Tyler Nothstein is a true product of T-Town and gets his cycling pedigree from his father Marty, who was Olympic Sprint Champion at the Sydney Games. Although “Bones” is one of the WCL’s youngest competitors, he showed emerging talent at T-Town this past summer and, by the end of the season, had joined the ranks of the most elite up and coming track racing prospects in the country. 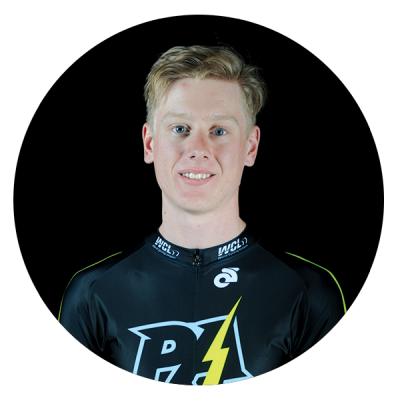 From the WCL Premiere, he will stick with the PA Lightning for a busy summer racing at T-Town and on the Eastern criterium and road circuit. Watch for surprises from this lad!